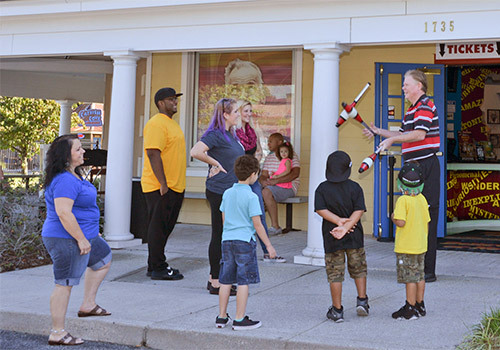 Located on Richmond Road near the Williamsburg Premium Outlets, the Ripley's Believe It or Not! Museum & 4D Theater offer an exciting experience for guests of all ages. The museum features more than 350 exhibits and artifacts and 11 themed galleries. The 4D theater offers two thrilling 3-D films with state-of-the-art surround sound, and air and water misters, as well as other sensory experiences. The museum offers free guest parking. 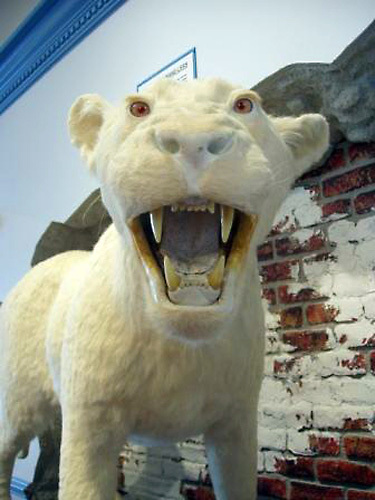 Explore the odd and intriguing with more than 350 museum exhibits. 4D theater features surround sound, special effects, and a 3D film. 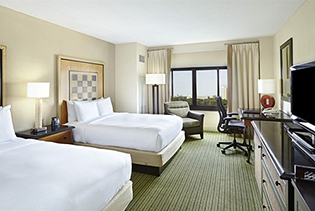 All attractions are wheelchair accessible and ADA compliant. The Ripley’s Believe It or Not! 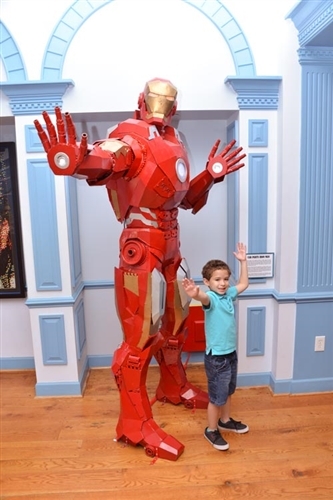 Museum and 4D Theater in Williamsburg offers an exciting and family oriented experience. 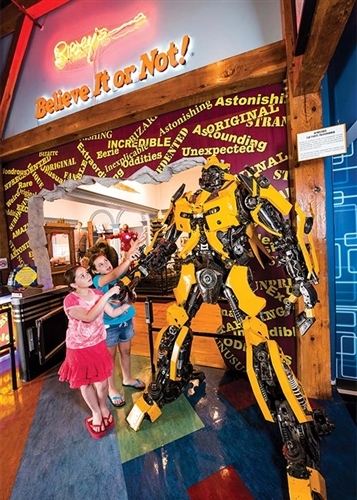 With exhibits ranging from Bumble Bee Transformer and Iron Man to a two headed cow and genuine shrunken head, the Ripley's Museum offers a unique and bizarre experience for people of all ages. Our Museum is the only fully indoor, year-round entertainment venue in Williamsburg. 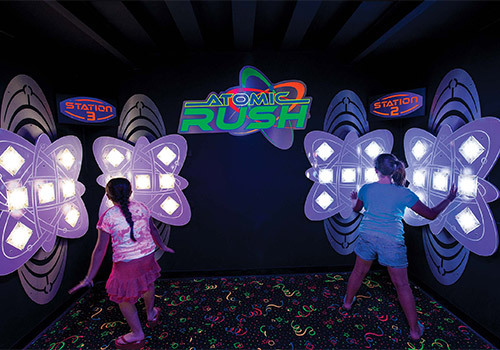 Inside our museum, you’ll also find our Impossible Laser Race and Atomic Rush games where guests battle the clock for best times and scores to beat their friends! 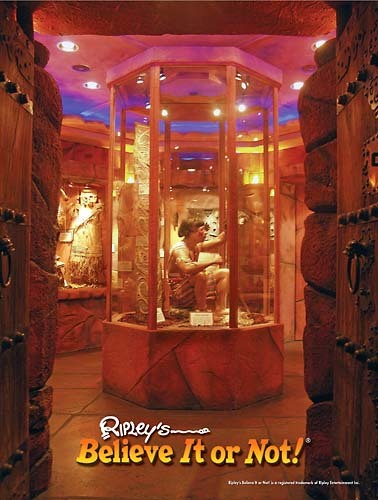 In addition to the Museum and games, Ripley’s offers a 4D Theater. Guests watch our shows with 3D glasses on a 50’ HD screen, all while getting blasted with wind, water and a host of other sensory experiences. And after your 4D experience, you can check out our Candy and Souvenir Shop! Mini Golf located next door, with 18 holes of fun! 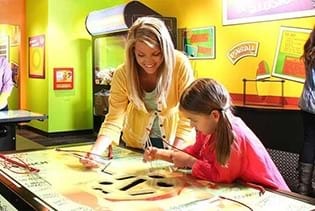 It is great family fun for all ages (This is available for an additional fee). 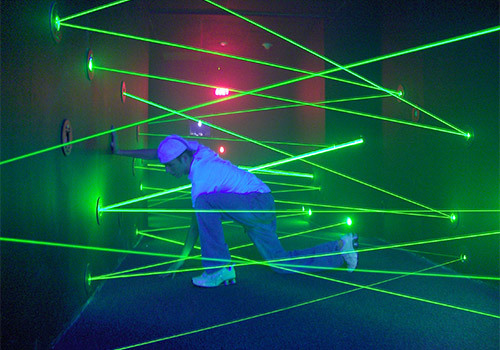 What goes on in the 4D Theater? We have two different shows running in our theater. They alternate every half hour starting one hour after we open. The shows are similar to an amusement park ride, only the chairs do not move so no one gets tossed around. Each show is about 15 minutes long. You watch them with 3D glasses while we spray you with air and water, tickle your legs and several other surprises. The shows themselves are appropriate for all ages, although sometimes small children are scared of the dinosaurs. 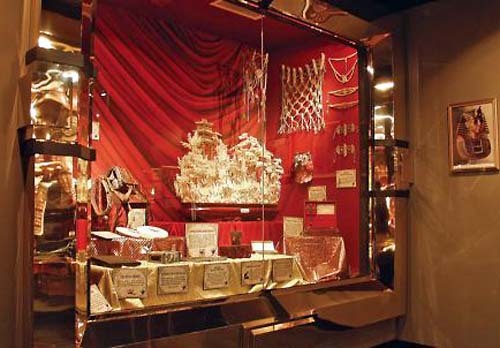 Are your exhibits different from other Ripley’s? Yes! 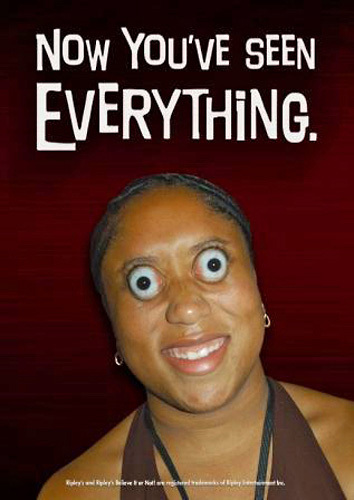 Everything is real and unique. 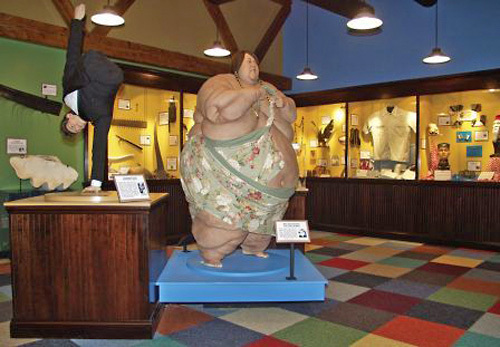 Some of the Odditoriums may have a few of the same wax figures, but the artifacts are all unique to each show. Are the attractions wheelchair accessible? We are ADA compliant and we have 4 available spaces in our 4D Theater specially designed for guests in wheelchairs. We have ample and free parking at the Odditorium. We do not allow food or beverages in the attractions, but there are approximately 20 restaurants within a 1-mile radius of our location. Yes. You may take as many pictures as you’d like. How old do you have to be to enter by yourself? You must be 13 or older to be in the attractions by yourself. Anyone 12 and under must be accompanied by a parent or legal guardian. Does the Mini-Golf cost extra? Yes, you can purchase a ticket at the front desk.